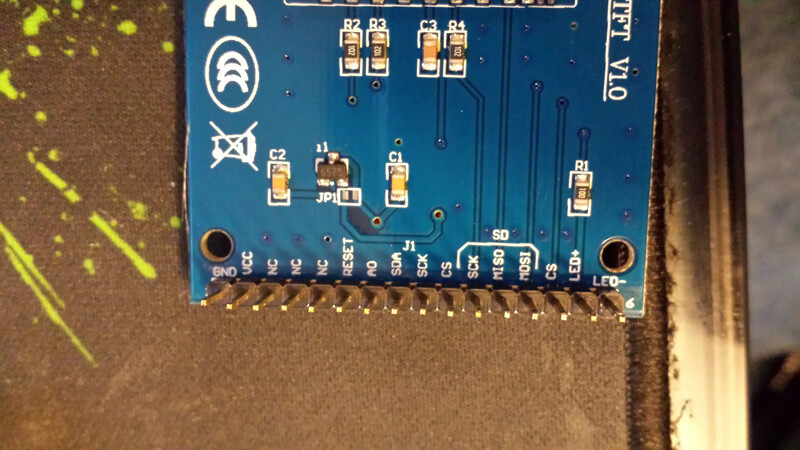 I have the Shield version of the TFT and I'm havong trouble with the wiring, specifically with the GPIO 10 (MOSI) wich I can identify on the R-pi but not on the TFT board. What TFT are you using? do you have a link to any datasheets? Hi. 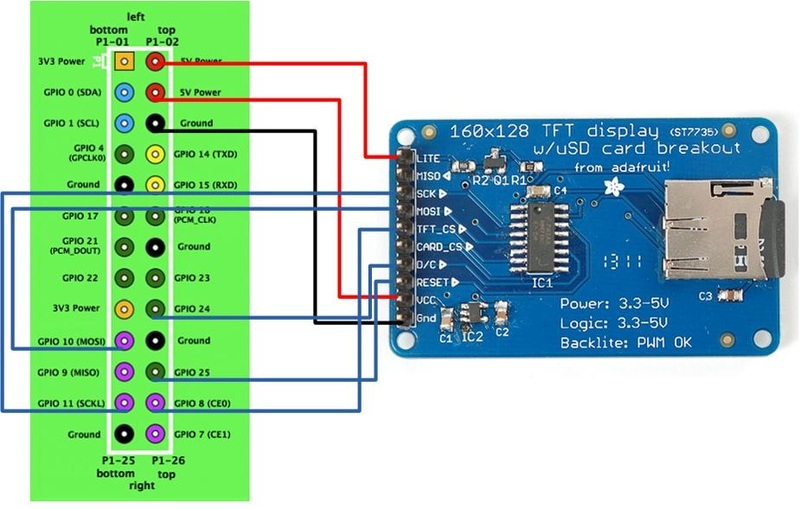 My version of the TFT is somewhat different from the one in this diagram. Could you tell me which pins connect where? Hello, I just bought another version of ST7735 here↓. Will it work exactly the same? And I am not sure how to wire it up. I was wondering if you might be able to give me some advice. Thank you. Can you help me out please ?